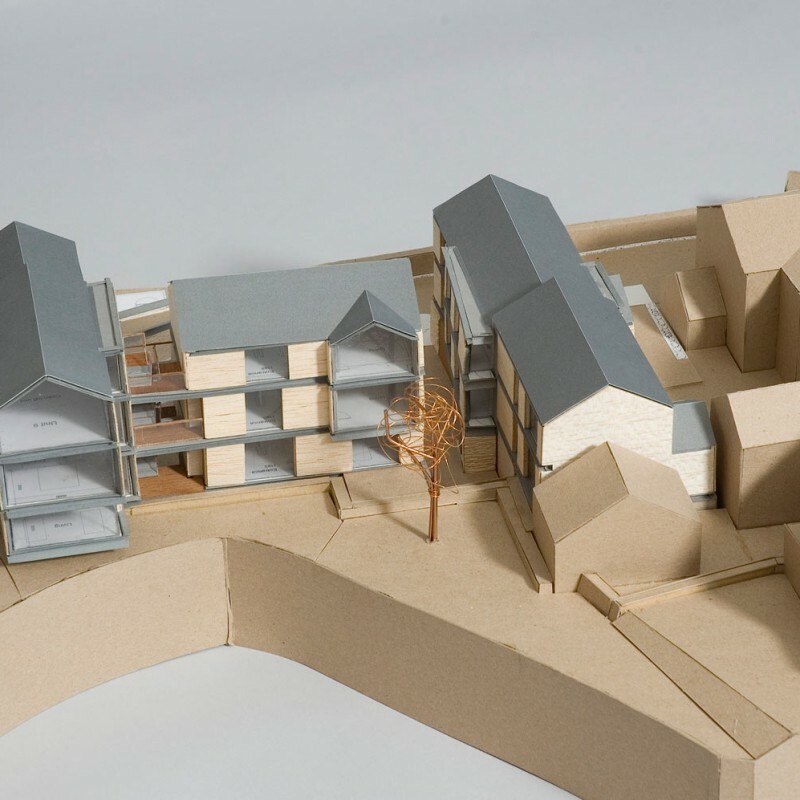 Mill Housing is a proposal for a new housing development at the of Oughtibridge village centre located on the site of a former mill. The project aims to offer a new, imaginative and inspiring place to live for different family groups in Oughtibridge. A series of stepped blocks will help the new buildings nestle into the steeply sloping hillside. From the far side of the valley, the stepped roofs and informal clustering of the buildings will echo the nature of the buildings stepping down Church Street and lining the valley bottom of Oughtibridge village centre. The new development aims to use motifs from the mill vernacular rather than be a pastiche of the adjacent old mill buildings. The use of appropriate scale and form to create narrow footprints and roof pitches similar to the existing buildings is particularly important in setting up this relationship. Each unit has a unique aspect and, where possible, form a relationship with the millpond. All units have two aspects, something particularly important given the north/south layout of the development. This will enable the majority of the units to benefit from both morning and afternoon sun. Where a relationship with the pond is not possible then views are afforded across the Don Valley.